Sefiani Communications Group was last night awarded two Gold SABRE Awards in the Issues Management and Public Affairs categories of the 2018 SABRE Asia Pacific Awards in Singapore, in recognition of the agency’s work with privacy campaigner Brieana Rose, in her campaign to address the taking and sharing of intimate images without consent. The 18-month media, advocacy and lobbying campaign resulted in NSW Parliament passing new laws to criminalise the taking and sharing of intimate images without consent. These image-abuse laws have now been passed by legislators Australia-wide. 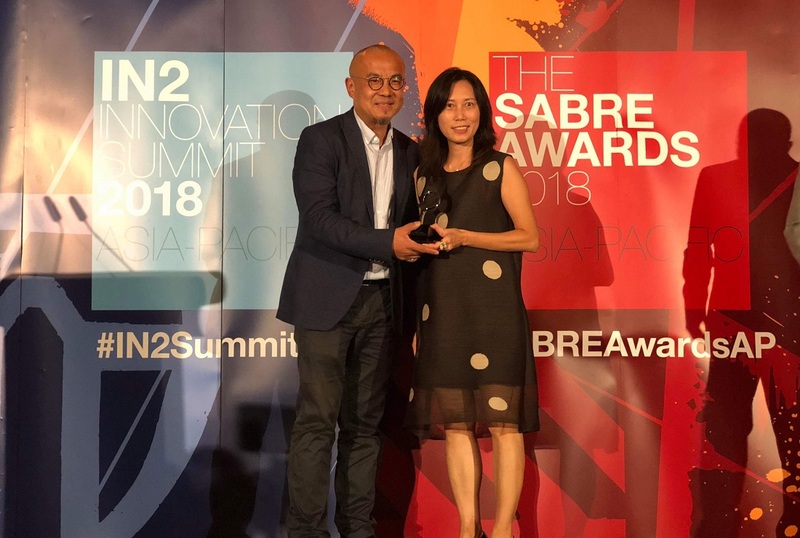 Clara Shek, Managing Director of Ogilvy in Hong Kong (pictured), accepted the award on Sefiani’s behalf, as a long-time friend and former colleague of Robyn Sefiani. The agency was also a finalist in the Corporate/Public Affairs Consultancy of the Year category. The SABRE awards are announced each year by The Holmes Report, the PR industry’s leading source of news, insights and intelligence for public relations professionals. Winners will continue on to the Global Awards, to be announced on 24 October 2018.